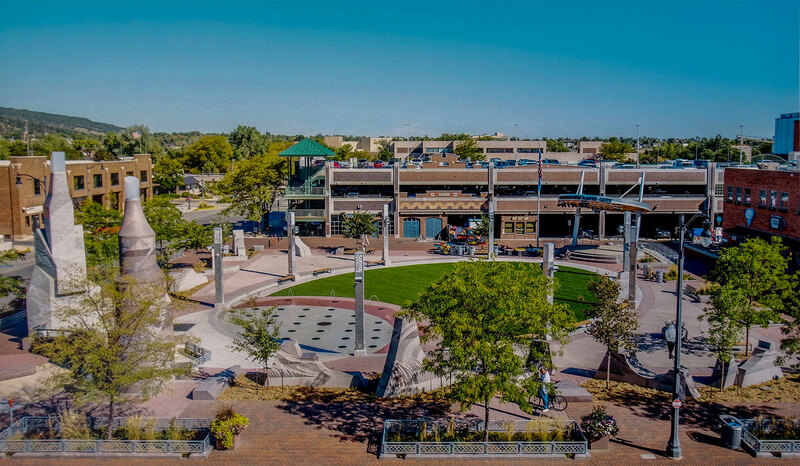 This project was a part of a major revitalization design of the downtown Main Street Square in Rapid City, South Dakota. 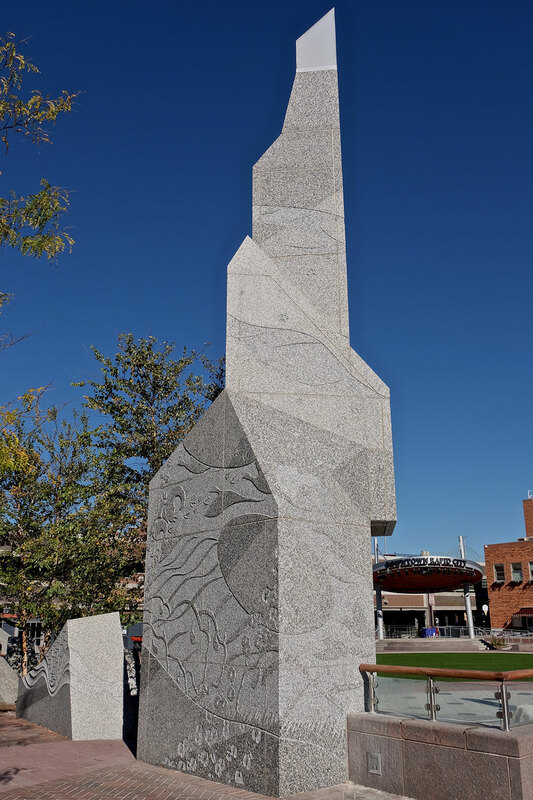 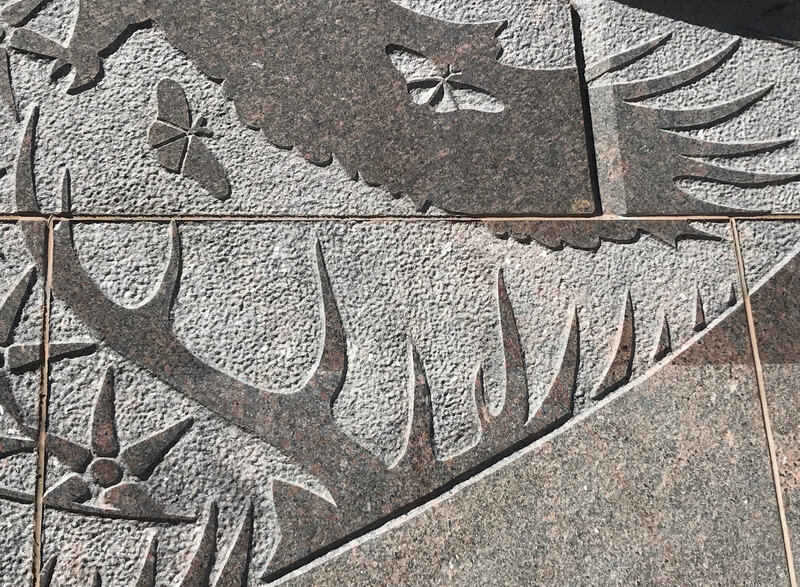 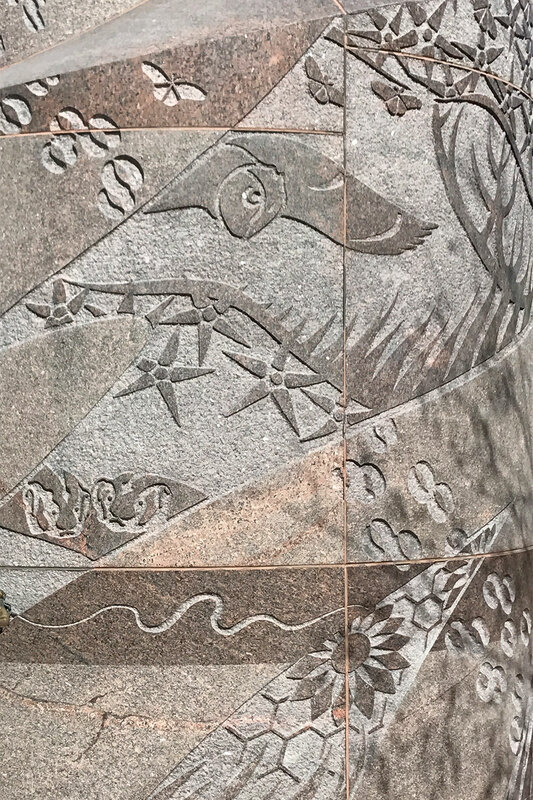 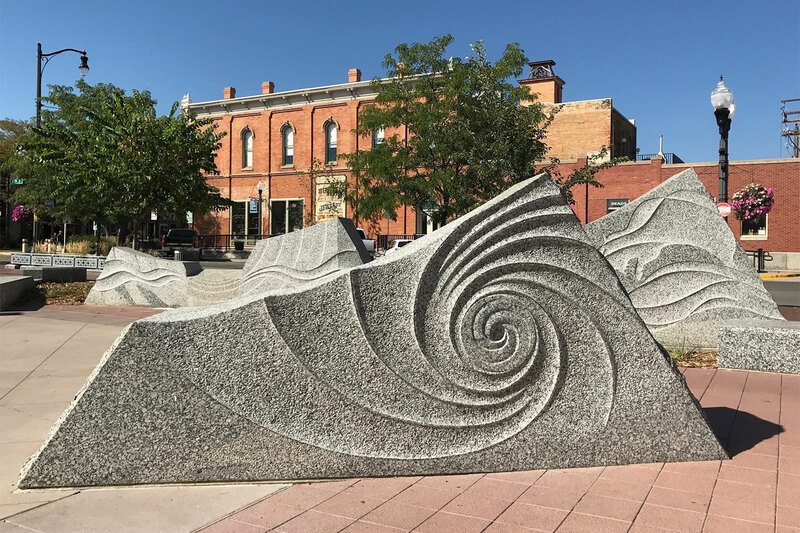 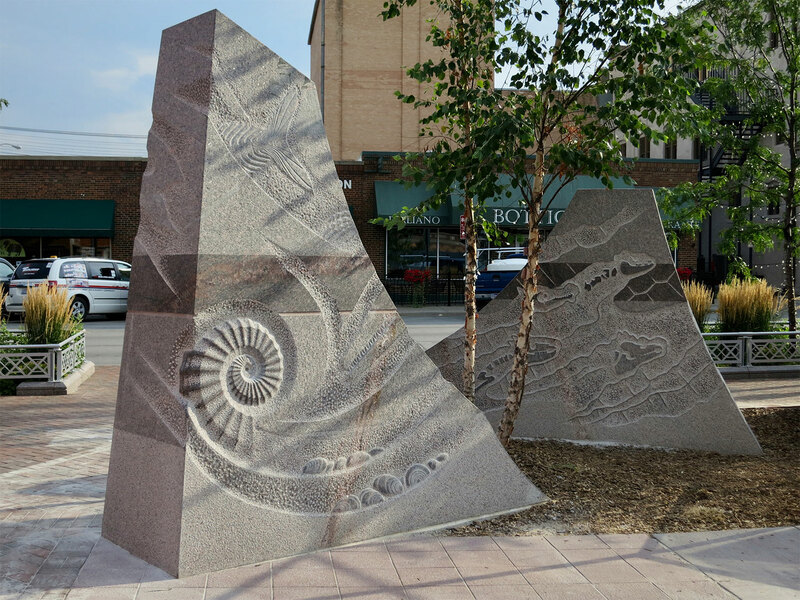 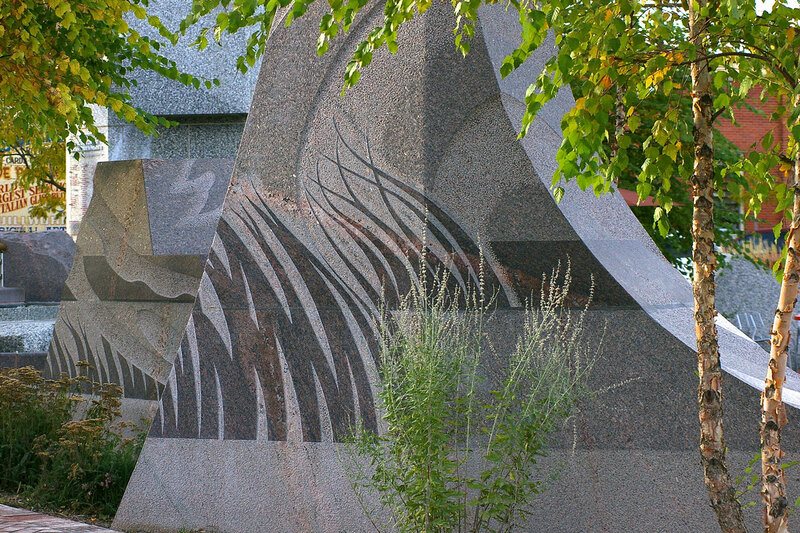 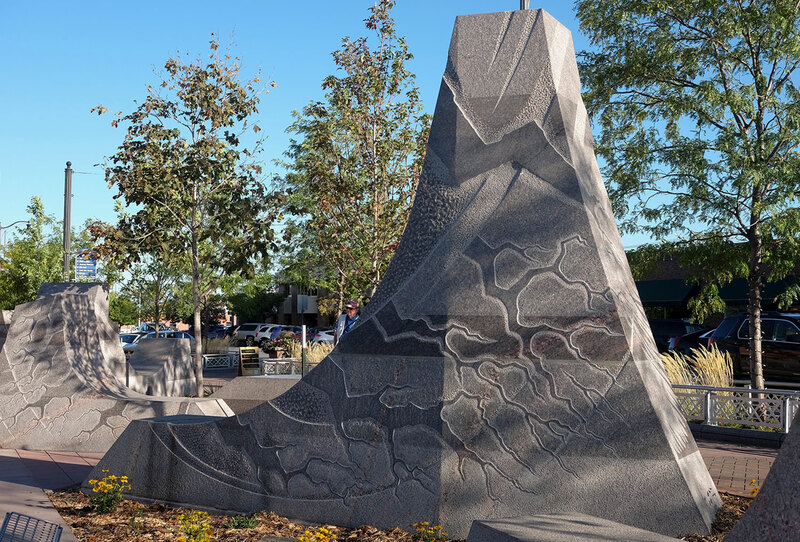 The square’s design had 21 pieces of large-scale granite blocks abstractly representing the Black Hills and the Badlands. 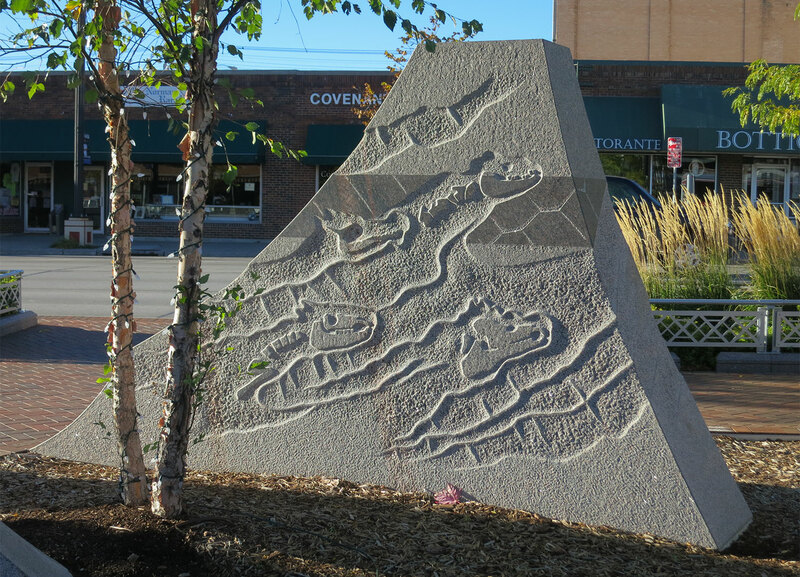 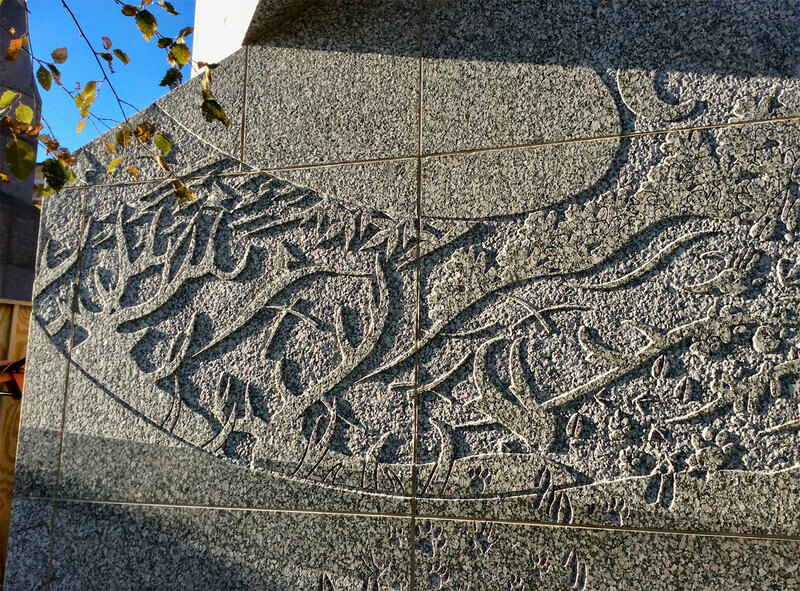 The artist was selected to carve an overall design addressing the natural and cultural history of the region. 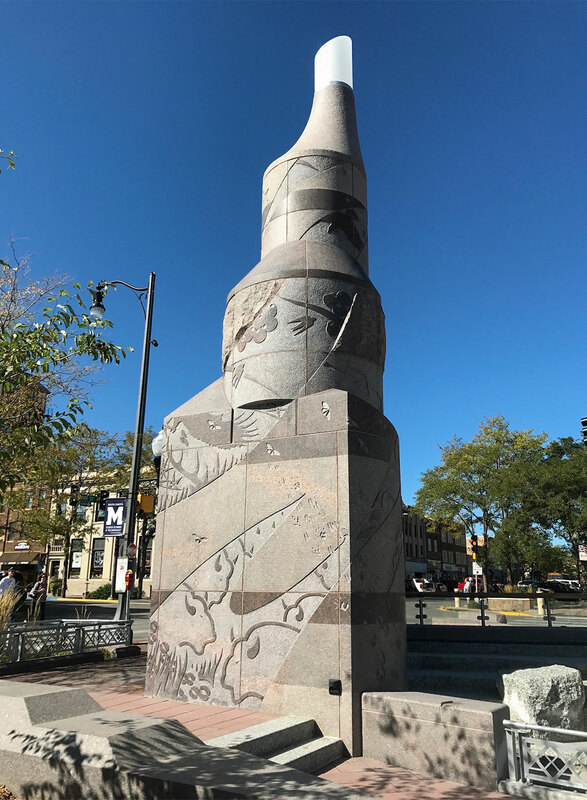 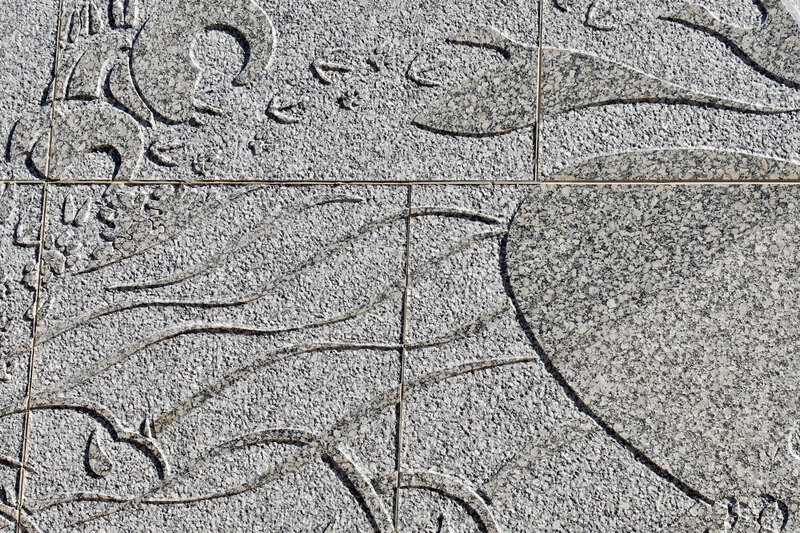 His design concept was based on the overall theme of “Transformation, Change and Hope: The Aspiration of All Beings in Nature to Live in Balance.” The artist chose wind and water as the major visual themes that expressed the energy that brings and sustains life.